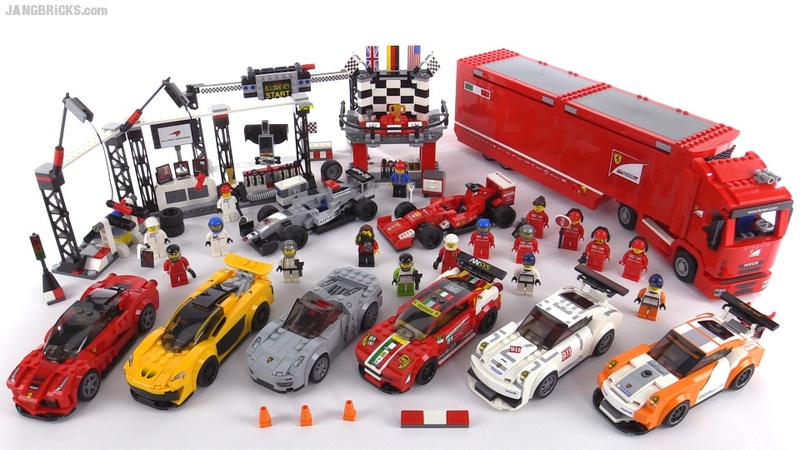 LEGO Speed Champions 2015 - ALL sets wrap-up! Video: LEGO Speed Champions 2015 - ALL sets wrap-up! My name is Matthew and I am almost 6 years old. I like this video because I get to see all of the lego racer sets together. I would like to know how many sets you own and how many pieces you have. I have been collecting Legos since July 2015 and I have over 1,000 pieces. p.s. My mom asked me if I could go anywhere, where I would go. I said, "TO JANG'S STUDIO!" By the way, Jang, I read on Eurobricks that replacing the Porsche's sticker headlights with 1x1 transparent "cheese" slopes might make it look better. To be quite honest, the McLaren's front and rear still need work. And the Scuderia truck makes them all seem small!